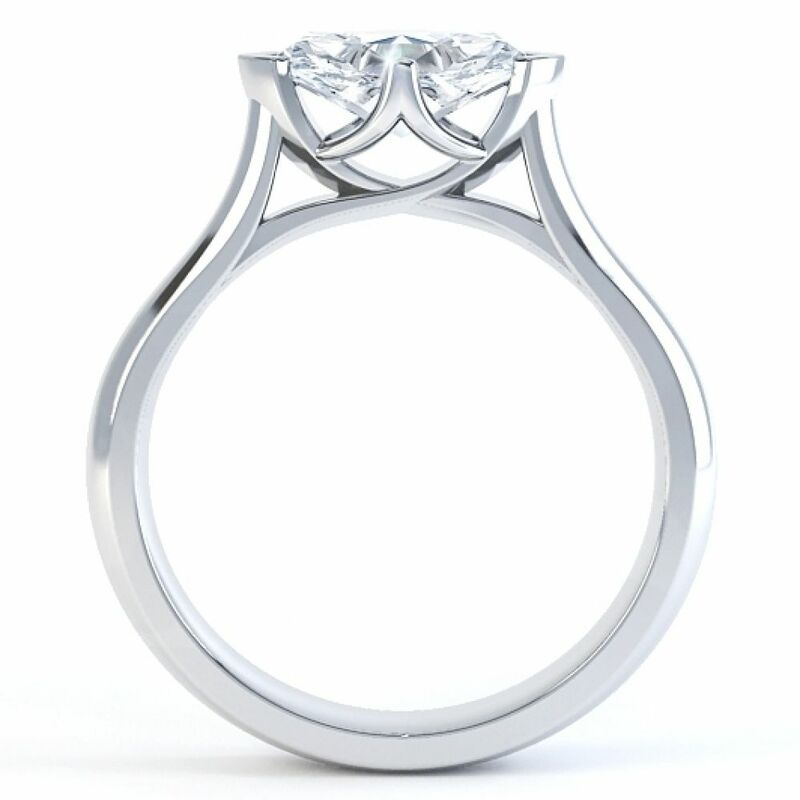 Exclusive 4 claw sideways set marquise diamond solitaire engagement ring with comfort fit court profile band. Introducing Loretta, our exclusive sideways set marquise solitaire design. 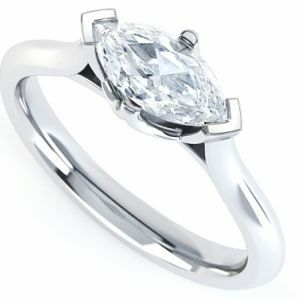 Each ring we create in this style is created around your exact Diamond specifications, with a secure 4 claw setting. We can craft this ring for you in Palladium, Platinum, and 18ct White or Yellow Gold. 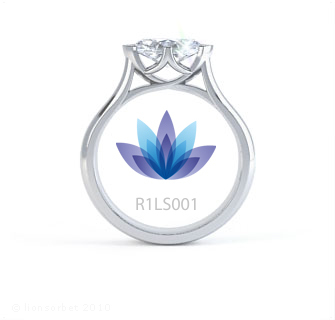 This design is unique to Serendipity and takes around 4 weeks to create for you. The design is beautifully balanced with slender tapering shoulders and a comfort fit court profile band. We can deliver the Loretta straight to your door in our bespoke packaging with the added reassurance of our 60 days return policy and a free ring size adjustment if needed.